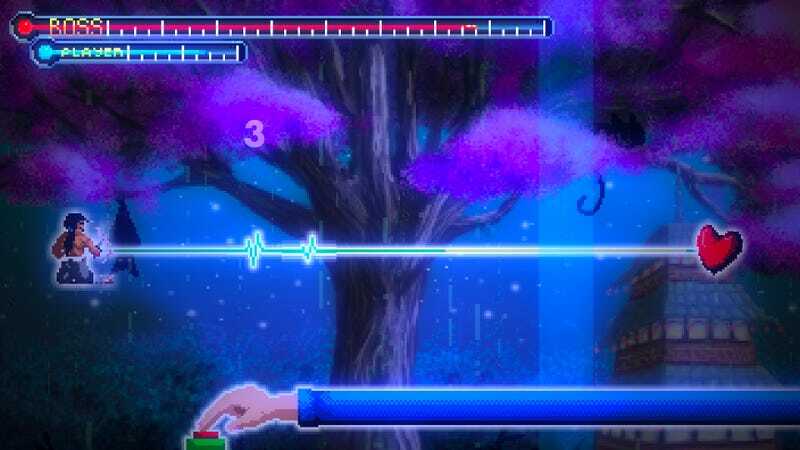 Rhythm Doctor is a trippy rhythm game that aims to invisibly teach you complex music and rhythm theory. It’s about doctors who save patients with sweet beats, culminating in “glitchstep boss battles” against a resilient virus. It looks cool and sounds great. It’s on Steam Greenlight right now.